I’m typically hard on most British movies. Perhaps it’s lost across seas but I find they generally don’t define themselves well. 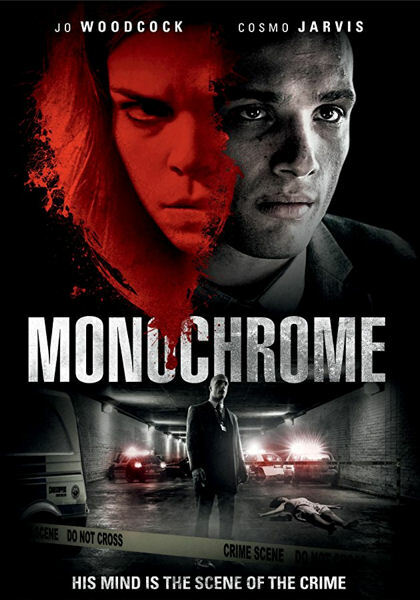 In writer and director Tom Lawes’ Monochrome we’re given two excellent characters in Emma and Detective Lenard (Cosmo Jarvis) who both could have easily been an intriguing centerpiece of any movie. Both characters are layered and played well by their actors. With two excellent characters like that in the same film you have a more realistic set-up to a dynamic like The Fugitive. Monochrome shines in its horror. Emma’s relationships with those she ends up killing play out like cross country, short stories of homicide. Seconding Emma’s unraveling of sanity and descent into murderer is the chase by Detective Lenard who’s just as fascinating a character himself. Obviously lacking confidence against his superiors but knowing he’s right, this Hitman looking detective and the actor behind the character have all the makings of his own Alex Cross or Jack Ryan series of film. In true British filmmaking convoluted storytelling make a simple but enthralling tale a little less fun to follow. The film gets bogged down in side characters and unneeded narratives that get across simple storytelling that could have easily been done through dialogue and the far more intriguing lead characters. Those who are easier on Brit flicks than me will find this movie that I enjoyed to be one they won’t want to miss.